At the time this post goes live I’ll be wandering around Hong Hong in a bemused state of mind trying to identify not only the native birds but the multitude of other species released by the inhabitants into the area. It’ll allow me to put a good start to this year’s list before the long drought of work starts up. 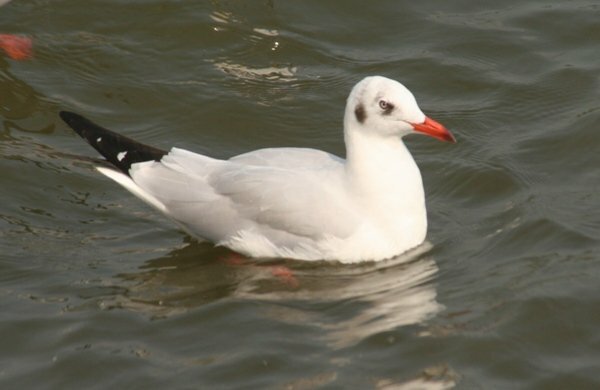 So allow me to introduce the Brown-headed Gull. This gull is closely related to, and necessary to separate from, the Black-headed Gull, a bird familiar to any birder from Europe (or even just anyone from Europe!). 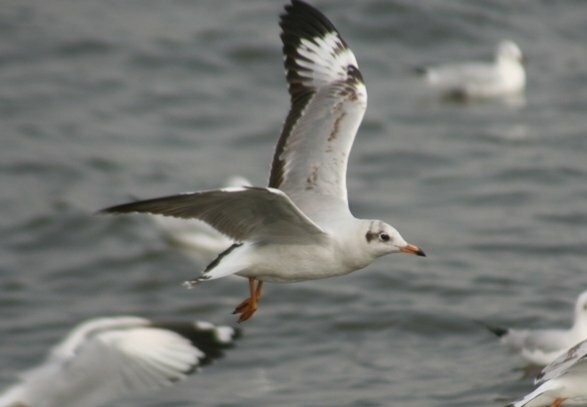 The Brown-headed Gull is a bird of Asia, breeding from Turkmenistan to Mongolia, and winters along the coasts of Asia. Brown-headed Gull (Chroicocephalus brunnicephalus), winter plumage. Notice the white iris. I saw this species at Bang Poo in the south of Bangkok, on the coast, where a large flock winters every year. The gulls are something of an attraction, and stands sell food (I looked at the food and won’t venture an opinion as to what kind of food it might be) to throw to the gulls. A first winter bird. 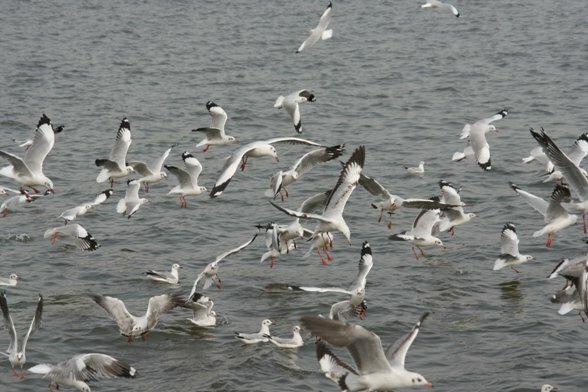 The wings tips have more black in them than those of Black-headed Gulls of the same age. If you contrast these gulls with those of Black-headed Gulls taken by Redgannet you’ll see a lot more black in the wings of adults and youngsters here. 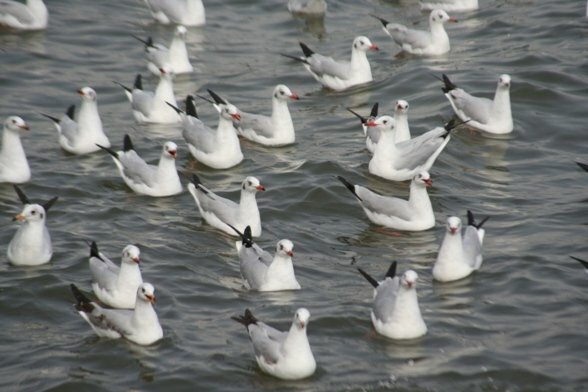 Hmmmmm, you reckon I could use photoshop to turn one of my usual Black-headed Gulls into something “more special”?